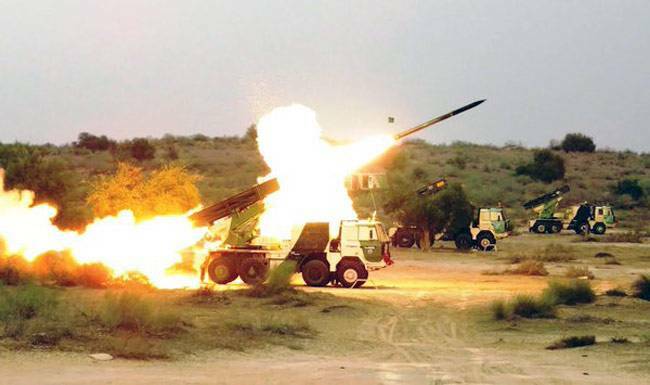 In a follow up to ‘Exercise Shatrujeet’ by the Strike Corps (Strike One) in Apr 2016, the pivot formations are holding major military training exercise codenamed “Exercise CHAKRAVYUH-II” in the general area of Pallu – Sardarsahar (Suratgarh) in Rajasthan. The exercise conceptualized by the Pivot Corps involves rapid mobilization and execution of plans in sync with Air Force. The exercise aims to validate the battle readiness and operational effectiveness of the pivot formation and RAPID division along with all its affiliated components. The exercise, envisages mechanised maneuvers in the entire spectra of new generation weapons, platforms & systems employed in areas where rapid development and urbanisation along the border is predominant. It will also provide an opportunity to all commanders in planning and conduct of large scale operations in an integrated theatre environment along with Air Force including the fighter ground attack aircrafts, attack helicopters, unmanned aerial vehicles, remotely piloted vehicles, and communication helicopters. Consequently, troop insertion by air using third dimension has also been integrated into the exercise using the Special Forces and other Heliborne troops. During the exercise, intelligence, surveillance, reconnaissance and communication systems will be put to test in a network-centric battlefield environment duly supported by enabling operational logistics. Improved mobility, inventory management techniques and the extensive use of information technology, so as to ensure that logistics keep pace with the fast paced operational environment, is also being validated during the exercise.